You Don’t Need Perfect Credit With Carlsbad Auto Title Loans! Are you going from place to place trying to get a loan but you can’t seem to catch a break? Are you getting turned away because of a bad credit score? Don’t worry, let us help! 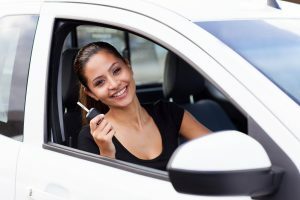 Carlsbad Auto Title Loans can help you catch your break. You can get a loan with us even if you have poor credit history. Unlike banks, we make sure to give you an opportunity to secure a loan, and we won’t need a list of your co-signers. We understand that when you come in for a loan, you’re in a tight financial place and we want to give you all the help that you need. Instead of having our customers jump through hoops, we try to make the loan process as easy and hassle-free as possible. That’s why we can get your application approved in just 15 minutes. We want to be a reliable source of help for you when you’re in a tough place. Give us a call today at 855-303-CASH (2274) to get started right away. A loan officer will be ready to assist you and answer any questions or concerns you may have. If you’re struggling with poor credit, let us give you some assistance. You won’t have to worry too much about your credit score when you apply for a loan with us. However, if you’re looking to improve your credit while you’re working towards paying off your loans, here are some tips that can be of help. First, checking your credit score would be the best way to start improving your credit. You can get a free report each year from AnnualCreditReport.com. Since there are three separate credit bureaus, TransUnion, Equifax, and Experian, you can get one report from each source. Knowing your current score will give you a picture of what needs to be changed and it also gives you a chance to correct any errors you spot. 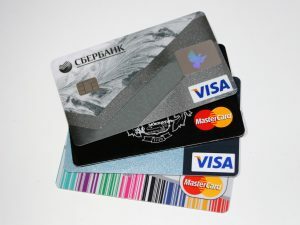 Although it’s good to have a mixture of credit, don’t open too many credit card accounts to make up for the variation. If used responsibly, you only need one or two credit cards to be able to have a good credit card. Opening too many accounts at once could also cause more problems down the line, such as overspending. Even when you pay off the other credit cards, if you decide to close a few accounts your credit score could be affected by the closures. The biggest factors that determine your credit score are payment history and your credit utilization ratio. Paying your bills late will cause your credit score to drop. If you’re having trouble paying your dues on time, try setting up an alert system for your due dates. You can use your bank’s alert systems or download an app to help you. Your credit utilization ratio, which measures how much credit you are using out of your overall credit limit, should be kept under 30%. This means on average, you should not be using more than 30% of your overall credit limit. Keep track of how much you are using your credit cards and remove any excessive use. Focus on paying off any outstanding balances and work towards staying up-to-date on payments. If you’re looking for a loan and you have poor credit, Carlsbad Auto Title Loans is here to help. Call us today at 855-303-CASH (2274) to get started! Carlsbad Auto Title Loans Is Glad To Serve The Community Of Carlsbad! Carlsbad is a city located in north San Diego County in Southern California. The city has neighboring cities such as Vista, Encinitas, Oceanside, and San Marcos. Also known by locals as the “Village By The Sea”, Carlsbad is a well-known tourist destination and seaside resort. The city’s name comes from a famous spa in Bohemia (now modern-day Czech Republic) named Karlsbad. The city’s well water carried similar features to the Bohemian spa water and was given its name for this reason. Historically, Carlsbad also underwent an expansive agricultural development in the late 19th century. The land grew a lot of citrus, avocados, and olives. The city was officially incorporated in 1952. 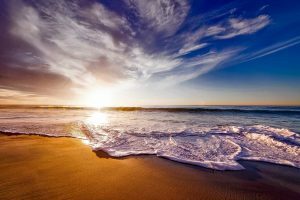 Carlsbad is known for various attractions such as Legoland California, the Carlsbad Flower Fields, and Tamarack-State Beach. Opened in 1999, Legoland California is an amusement theme park based on the toy brand. It features an aquarium, a miniature park, as well as a water park. The Carlsbad Flower Fields is a flower garden known for its annual ranunculus bloom, and attracts over 200,000 visitors each spring. The garden boasts of over 50 acres of planted ranunculus, planting over hundreds of thousands of flower bulbs. Finally, Tamarack-State Beach, also known as Carlsbad State Beach, is a local favorite. You can find plenty of families and children enjoying swimming, surfing, camping, and even fishing. Carlsbad Auto Title Loans is proud to serve the city of Carlsbad! Call us today at 855-303-CASH (2274) to speak to one of our loan agents! You can also visit us in person at one of our local offices, or start your online application process!